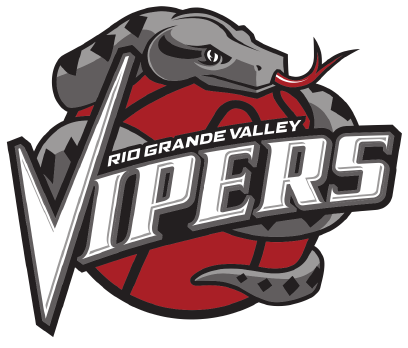 Former RGV Viper Danuel House scored a game-high 30 points to lead the Northern Arizona Suns to a 123-117 victory over the Vipers on Tuesday at Prescott Valley Event Center in Prescott Valley, Arizona. House signed with the Phoenix Suns on Dec. 8 after playing the first 15 games of the season with RGV, averaging 17.7 points, 7.3 rebounds and 2.5 assists per game. Since the move, House had been used primarily at the NBA level, averaging 4.5 points and 2.3 rebounds per game in 15 games. He’s played just four G League games since the move, averaging 23.3 points, 3.8 rebounds and 2.3 assists per game for Northern Arizona. On Tuesday, House connected on 9 of 14 shots and 4 of 7 from beyond the arc, with seven rebounds, two assists and two steals. Rahlir Hollis-Jefferson scored 27 points and Xavier Silas scored 23 for Northern Arizona. For RGV, Troy Williams scored 28 point with 11 rebounds and five steals, but also seven turnovers. R.J. Hunter scored 25 points on 8-of-19 shooting and only 1 of 12 from beyond the arc, and Monte Morris scored 22 points with nine assists and four steals. The loss drops the Vipers to 20-17 on the season heading into a home matchup against the Iowa Wolves on Friday. RGV has lost five of its past six games. RGV led 33-29 after the first quarter and 64-59 at halftime after an 11-0 run midway through the second period. Northern Arizona built an 85-83 lead by the end of the third quarter, and the game was tied at 97 with 6:13 remaining. From there, Northern Arizona scored five straight, including three free throws by House to take a 102-97 lead. After the Vipers got within one point, House made a 3-pointer with 4:13 remaining to stretch Northern Arizona’s advantage to 105-101. Silas hit 3-pointers on back-to-back possessions to put Northern Arizona ahead 113-106 with 2:12 remaining. The Vipers pulled within two on a 3-pointer by Cleanthony Early with 24.6 seconds left, then got within two again when Morris hit a layup with 17.9 seconds remaining, but House iced the game for Northern Arizona with two free throws and a dunk.